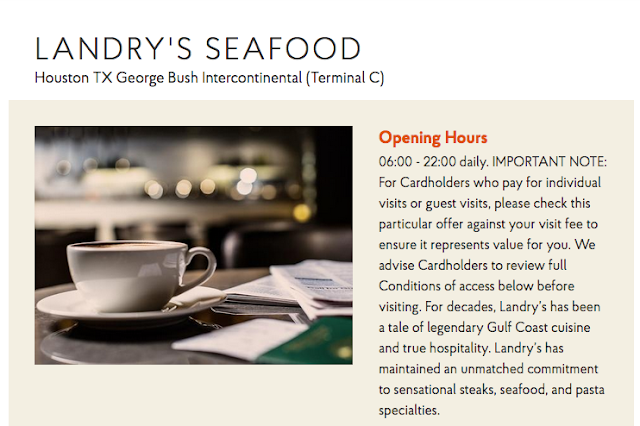 Priority Pass continues its expansion beyond business class lounges - they have added more than half a dozen new airport restaurants to their list of where Priority Pass members can dine with a credit. The list of new restaurants can be found here. Some of the airports that are included are San Francisco, Boston, Houston and more. The amount of credit tends to be US$28 per guest. That means this really only makes sense for those who get visit passes for free or have one of the higher memberships that pay the per lounge visit fee otherwise you'll be paying US$32 to get the $28 credit. If you don't have a Priority Pass membership and are looking to acquire one not via a credit card remember that Rewards Canada has a special partnership with them offering up to 20% off membership fees. You can find out more about our offer here.